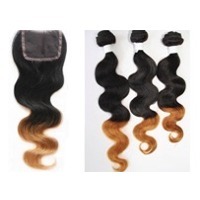 Hair Extensions : Quality 10a Grade, Indian Remy, Peruvian, Brazilian And Malaysian Hair Extensions. Lengths: 10,12,14, 16,18, 20, 22,24,26,28,30 Inches Available. 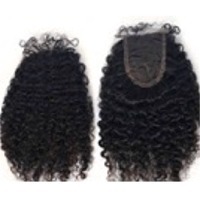 Texture: Straight, Body Wave, Deep Wave, Etc. 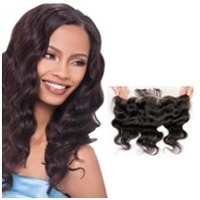 Diva Collection Virgin Elite Deep Curl 100% Remy hair extensions are a process in to bond with micro ring,quick or sew-in weave. 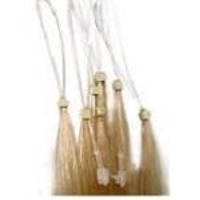 Hair wefts are micro thin so hair feels lighter and not bulky. With all the variety of styles and colours to choose from, great looks are now attainable without visibility. Wefts come in machine and hand tied. 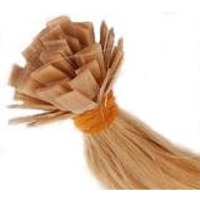 Hand tied wefts are micro thin, very small , strong, durable, secure and hard to detect. 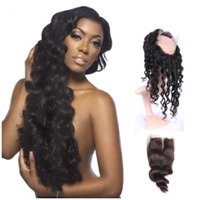 The hair is soft and luxurious and the extension is hand crafted for a natural look. 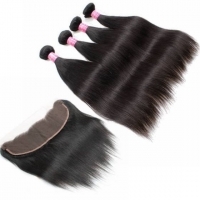 Machine made wefts are not as thin as the hand tied wefts but are as strong and durable. 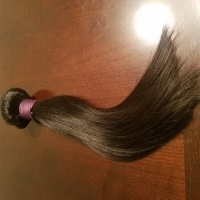 They allow the hair to lay flat against your scalp to give you a more natural look once in place and significantly will reduce hair bumps caused by bulky wefts. Short on time? Let hair-band sellers contact you. la coleccio'n de la Diva Pre bonded Flat-Tip extensions are a simple method to use. A keratin bonding glue is attached to the tip of the extension hair and is applied at the root of the individual's hair using an electrical fusion iron connector. Pre bonded extensions can easily be removed with our remover. Our crystal extensions with multicolored effects give new brightness and seduction due to the pure swarovski crystals adding a new dimension of creativeness and color. Decoration for parties, weddings, dinners and special occasions. Easily applicable, swarovski enhance the hair with charm and elegance. This is an innovative accessory for those who choose to give to their own hair a touch of polished elegance, enhancing the hair through sparkling light effects. Easy snap clips hold the extensions firmly in place, make them fast and easy to attach and just as easy to remove, without damaging your hair, leaving it in perfect condition. Clip 'n' Go: 1 pcs - 3 cm wide per pack. 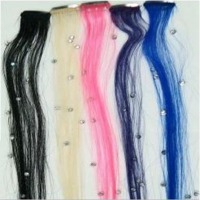 Length: 45 cm (18") Texture: Straight Colors:1, 4, 16, 22, 33, 613, Red, Blue, Green, Purple, Turquoise, Yellow, Pink , Fuscia. la coleccio'n de la Diva Micro Loop-Ring hair extensions is the latest development in hair extension technology. Pre glued Micro Ring Hair with the ring already in place, eliminating the need for using a pulling needle. This is the only hair extensions method that doesn’t require the use of braids, heat, adhesives (glue), chemicals, sewing, or braiding methods. This technique will last for many months. 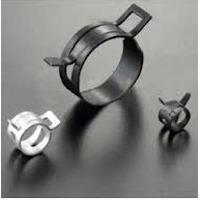 No Glue is used in the fitting process making them completely safe to use on even the most fragile of hair. Allow you to change the length, thickness, style and color of your hair in a very short period of time, with a pair of pliers. The Diva Collection Virgin Elite and Remy Premier Closures / Finishers are tangle free 100% Indian or Brazilian Remy Human Hair. Hand tied. Single hand knotted. Used for added top, volume and length and ideal for those with hair thinning problems and male pattern baldness, or just want more volume. 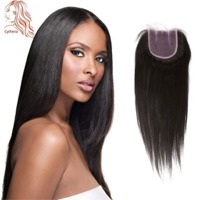 Diva Collection Tangle free 100% Indian Remy human hair pony tails and hair pieces are perfect additions for instant length and fullness Depending on preference , these pieces attach to your own hair by either interlocking combs or elastic string. 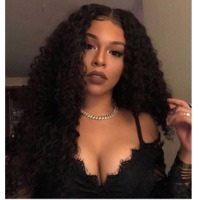 The DivaCollection 100% Indian Virgin Remy bulk hair is reusable tangle free cuticle human hair, which is the highest ECO-quality hair offered with the best possible price. 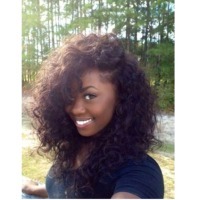 This hair is raw and natural hair and comes in its natural colors. Soft, silky, smoothly, light shine texture. 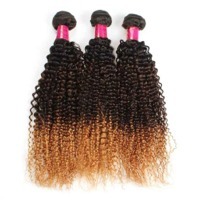 Only the best hair has been carefully selected and hand picked strand by strand by hair from young Virgin healthy hair. 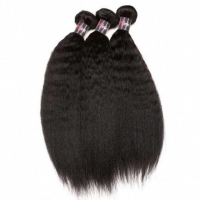 Virgin Hair has the cuticles running intact, in the same direction to prevent tangling. 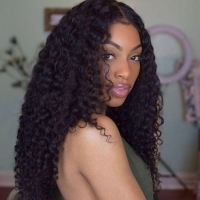 It has not been chemically processed or colored or undergone any chemical processes, bleached, dyed, colored or perm at all and is free from animal/synthetic hair. This reduces the risk of allergens. Can be reused again and again. Ideal for fusion, braiding and wig making.